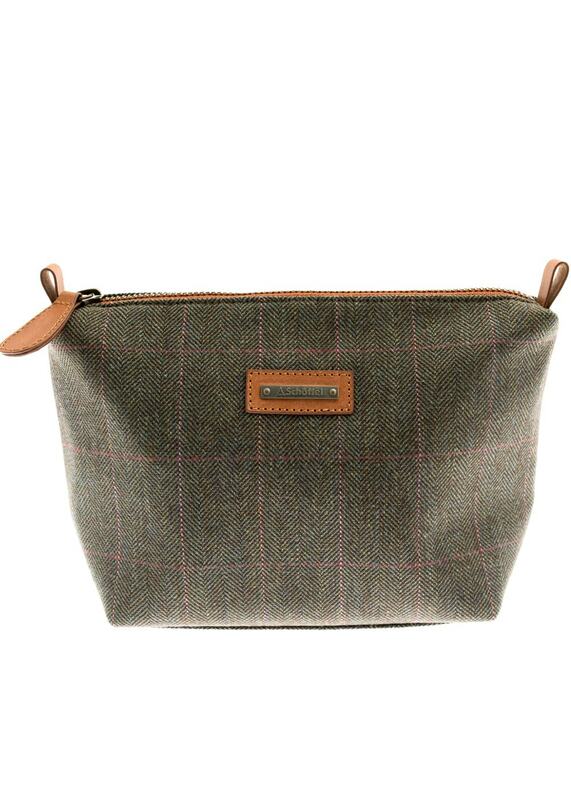 Pack up your favourite lipsticks in Schoffel's stylish Tweed Cosmetic Bag. Featuring a moisture and stain repellent Teflon® finish as well as a water repellent lining, you wont have to worry about any pesky leaks. Pack up your favourite lipsticks in Schoffel's stylish Tweed Cosmetic Bag. Featuring a moisture and stain repellent Teflon® finish as well as a water repellent lining, you wont have to worry about any pesky leaks. This cosmetic bag has been crafted from pure lambswool and finished with 100% British milled tweed to offer you an added touch of luxury and durability.